£100 non refundable deposit required to secure your booking. Monthly instalment plan available. Remaining balance must be paid 4 weeks prior to arrival date. £100 refundable bond also required. Bond will be refunded within 3 days of departure if there is no damage or breakages. 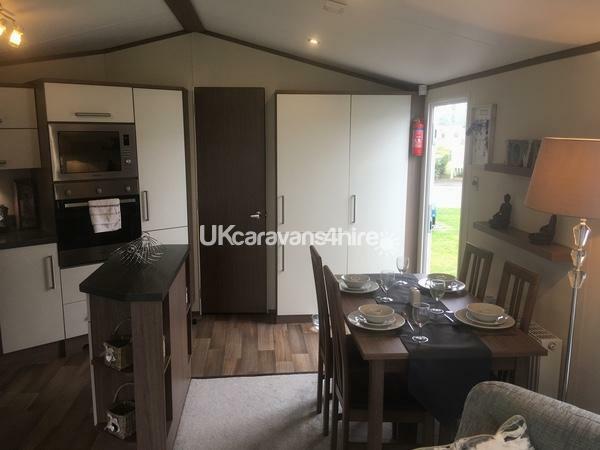 Prestige Caravan for hire. 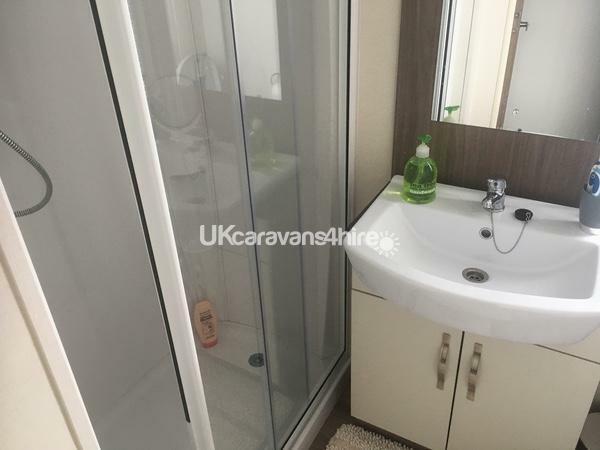 Sleeps 8, 3 bedrooms (1 double, 2 twins) and a pull out sofa bed. 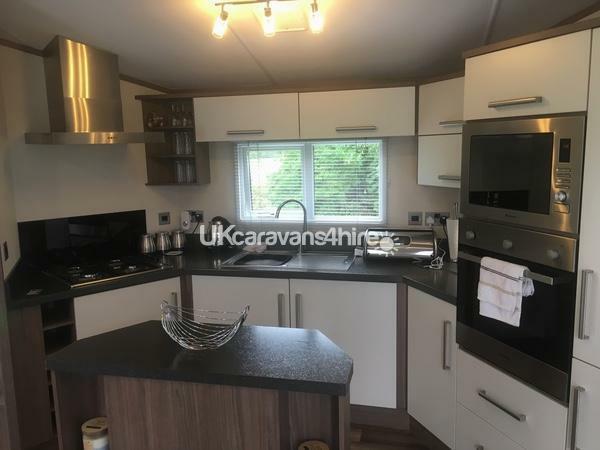 Full amenities, central heating, shower, electric LED fire, 42" LED TV, two toilets, integrated microwave, fridge freezer and cooker, gas BBQ, large grass area. 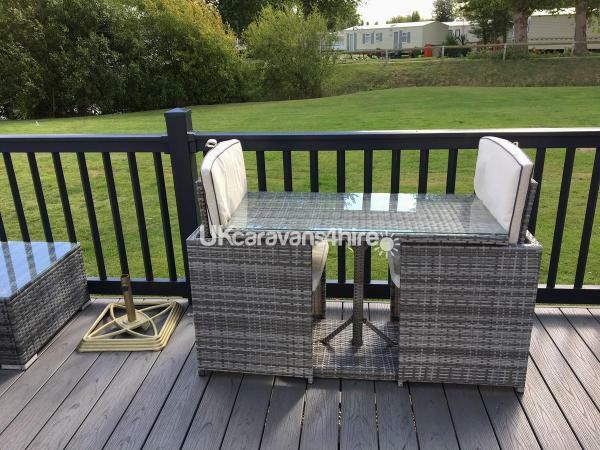 French doors opening onto the decking with furniture. 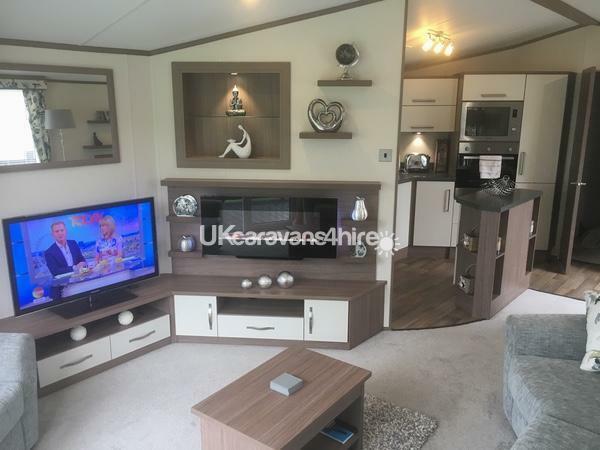 The caravan is situated on a great corner/end pitch on the Haven Thorpe Park Caravan Park Cleethorpes. Bedding is provided, bring your own towels. 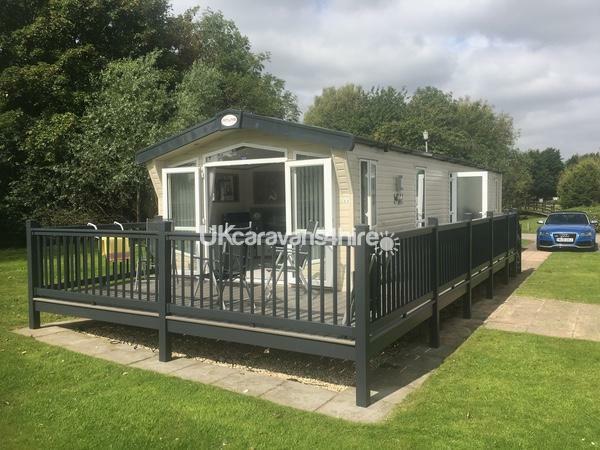 £100 bond taken and refunded once caravan has been checked on departure. Park passes not included. Please contact me for prices and availability. Additional Info: Swimming pool, with indoor and outdoor facilities, water slides, sun bathing area, children's play area, showbar with entertainment, eating areas with bars. Fish & chips shop, Papa Johns, Burger King all on site. Train to transport you around the park. Park events taking place all the time, check with reception to find out what's on. Fishing lakes. Go karts. Shops. Launderette . No reviews found. 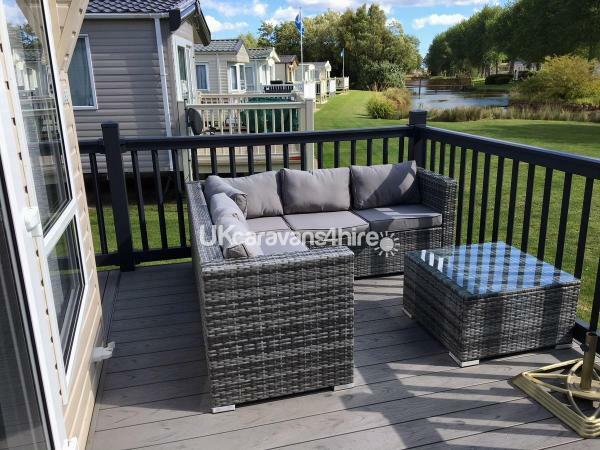 If you have recently stayed in this holiday home please leave a review, it only takes a few moments and will really help future guests when they are searching for holiday accommodation at Thorpe Park Haven.